What nicer way to differentiate between "home" and "office" both physically and psychologically, than to walk down the garden path. George Bernard Shaw, Dylan Thomas, Roald Dahl and Philip Pullman produced great work in such diverse garden buildings, gypsy caravans and a railway carriage. Let the natural surroundings of a log cabin home studio or office in your garden inspire you. All of our log cabins come with floor and ceiling insulation so no matter what the weather you can be comfortable whilst being creative. 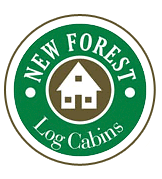 See below for examples of some of our commodious, fully insulated Log Cabins. I know we shouldn't rave about our log cabins, but the Ryan design has out sold all our other designs, from Home Office to quarter Olympic Poolhouse enclosure and the Ryan Work Studio has all the important features that you would expect from a quality supplier, such as a light and airy place to work that's warm when you need it to be in winter and cool in summer. The Ryan Work Studio measures 8 x 4 in 70mm wall logs with insulated roof and floor. With a slate roof and Velux windows and painted a gorgeous duck egg green this customer has taken a good thing and turned it into a fantastic place to spend many an hour running a business from home. The Ryan Winterborne is a great example of just how chic a Log Garden Office can get and with those finishing touches, will this be the cabin that gets your imagination working overtime..
We like the Ryan design so much that we run the company from one. With the long windows at the front letting more light in than you will ever need, we made a couple of changes to this version and split it into two separate cabins with an internal door linking the rooms and everyone is slightly different to reflect the ever changing needs of our customers. Supplied and built on-site by our expert craftsmen the Ryecroft is a superior Round Log Cabin that's going to look great for many years to come and at the end of the day, sometimes it's not what you plan to use it for that's important, you might just want to have a fantastic log cabin in your garden..! Measuring 4mtr x 4mtr with 1.5mtr overhang and verandah in 150mm round log. Supplied and built on-site by our expert craftsmen the Lyndhurst Wessex Day Cabin with it's double French Doors and double side windows allows plenty of light in the cabin by day and with some light and a little heating, the cabin could be used as a weekend escape at the bottom of the garden. The Lyndhurst Wessex Day Cabin is 3.66mtr x 3.66mtr with 1.5mtr overhang and verandah in 70mm square log with insulated roof and floor with double glazed windows and doors. Whatever your hobby, this cabin will give you the space to enjoy it. From the minute you walk into this cabin your imagination will start to wander off as you start to imagine all the things you could use it for and before you know it, you discover that your spending some quality time in a fantastic log cabin built just for you, whatever your hobby is. This version was made 7 x 4mtr but it could just as easily be 10 x 5mtr and when space is important, we can make your Hobby Room any size your want it to be. There are a some people who will spend any amount of money on their hobbies and when considering a place to carry out your interests, what better than a quality solid log cabin with it's double glazing and insulated roof and floor. Swivel and tilt German windows are fitted to aid flow throughout of air and yet retaining security. Every log cabin had an extended guarantee of complete customer satisfaction and pastime enjoyment built into it..! The Pioneer 22 comes with a pedigree all of it's own and what's more it doesn't require planning permission. We have built this as an office on a Trout Farm, Dog Kennel, Farm Shop, Home Office, Studio Apartment, Hobby Room, Poolside Cabin and more. They don't come much better than the Portland and what's more, this is the sort of log cabin that has so many uses, all you have to do is think of the many things that you and your family could benefit from such as sleep-over's, hobby room, home office therapy room, sales office, summerhouse and much more. 3.8mtr x 3.8mtr with overhang & 1.5mtr verandah in 70mm log. The Edenhall Photographic Studio fits both the space requirements for the professional photographer or home office worker. This log cabin will fit into the smallest garden and what's more it doesn't require planning permission, although we always suggest you check with your local planning department to double check before placing an order.